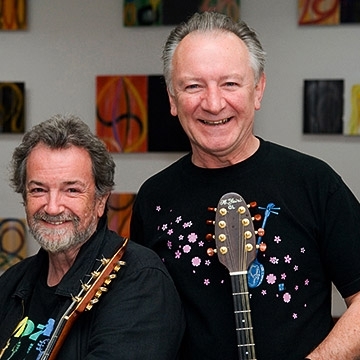 Two giants of the Irish trad scene, Andy Irvine and Donal Lunny are uniting for an evening of great music, a mixture of traditional songs, some Eastern European music and originals composed by Andy. Between them, Andy and Donal have been at the helm of legendary bands like Sweeney’s Men, Planxty, The Bothy Band, Mozaik, LAPD and recently Usher’s Island. Their unique style of accompaniment is an ongoing influence in the wider world of Irish music. Andy and Donal, in their separate ways, have contributed to a veritable renaissance in Irish traditional music.